버스 정류장을 물을때 쓰는 영어표현입니다. Are there any buses running between here and there? 이곳에서 그곳까지 운행하는 버스가 있습니까? where's the nearest bus stop? 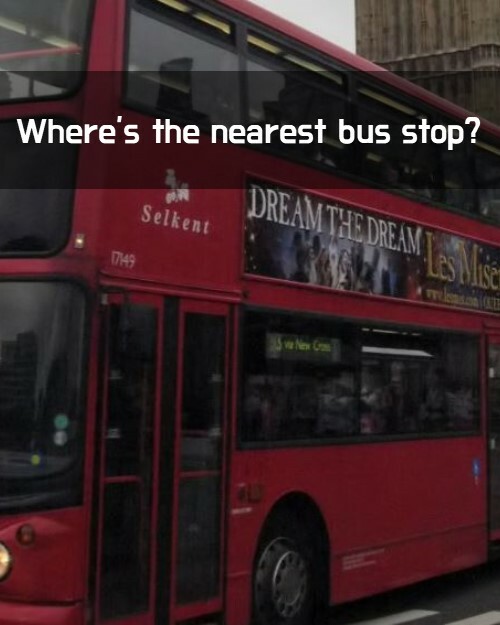 Are there any buses running between here and there? Congratulation! You win the 638 Lucky Point!